At Japanese Auto Care, Full Service Tire and Auto Repair, we specialize in tires, auto service and all factory maintenance services. 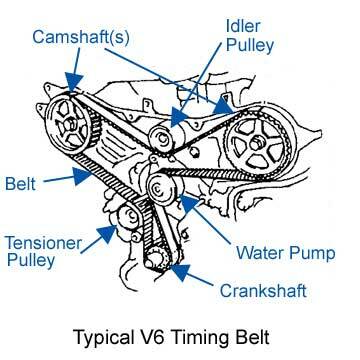 Timing belts along with water pumps (see below how these components operate) and related internal components are some of these important automotive services. We have some great timing belt packages there that can help you save money or these more expensive but timely repairs and services. . NOTE: Japanese Auto Care is equipped with an automotive information system that provides detailed data for all makes and models of automobile and light trucks on the market today. The ALLDATA system even lists high-tech specialty lubricants required for your particular car. Other information includes vehicle specific repair and diagnostic information and factory-issued Technical Service Bulletins. The bottom line is efficient, dependable and cost-effective service for you.